February beckons the arrival of the Pokémon TCG: XY — Primal Clash expansion, introducing Primal Reversion and Ancient Traits to the addictive card game. 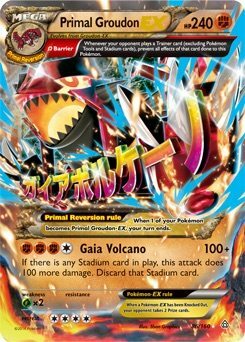 12 new Pokémon-EX cards are led by the titanic Primal Groudon-EX and Primal Kyogre-EX, as well as Mega Gardevoir-EX, Mega Aggron-EX, Sharpedo-EX, Trevenant-EX, Wailord-EX, and Camerupt-EX. Ancient Traites will provide Pokémon with advantages in battle, while new Spirit Link and Special Energy cards will create new ways to strategise. 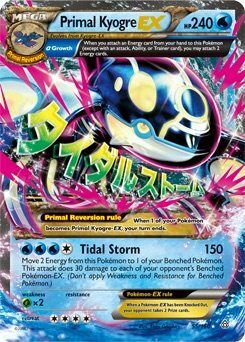 There are more than 25 new Trainer cards (with four full-art rare Ultra cards and two Special Energy cards), with two new theme decks to help get you started – Earth’s Pulse and Ocean’s Core. The Pokémon TCG: XY — Primal Clash expansion will release at retail on 4th February 2015. Nintendo of Europe’s Satoru Shibata wishes you all Happy Holidays!